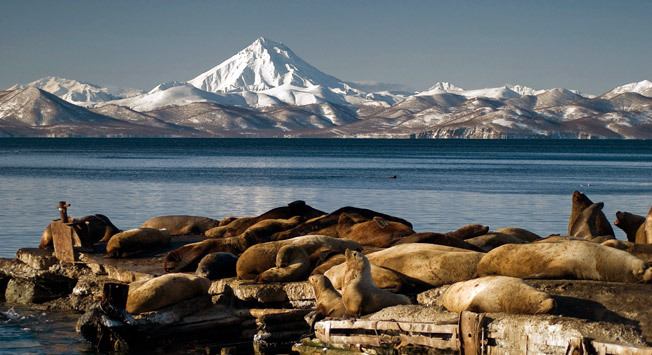 Steller sea lions are found everywhere near the coast of the Kamchatka peninsula, but the largest reproductive rookery is located on the Aleutian and Kuril Islands. Researchers at the Kamchatka branch of the Pacific Institute of Geography of Russia’s Science Academy’s Far East Department now have the opportunity to monitor Steller sea lions that are on Russia’s Red List of Threatened Species, from space, the Komandorsky Nature Reserve’s Spokesman Alexei Veledinsky told TASS on Oct. 28. The researchers succeeded in installing five GPS tags on two full-grown sea lionesses and three cubs on the national park’s territory.